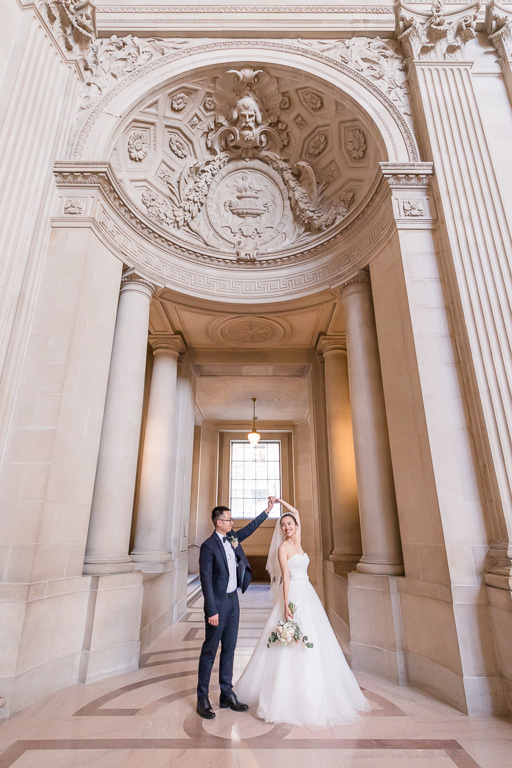 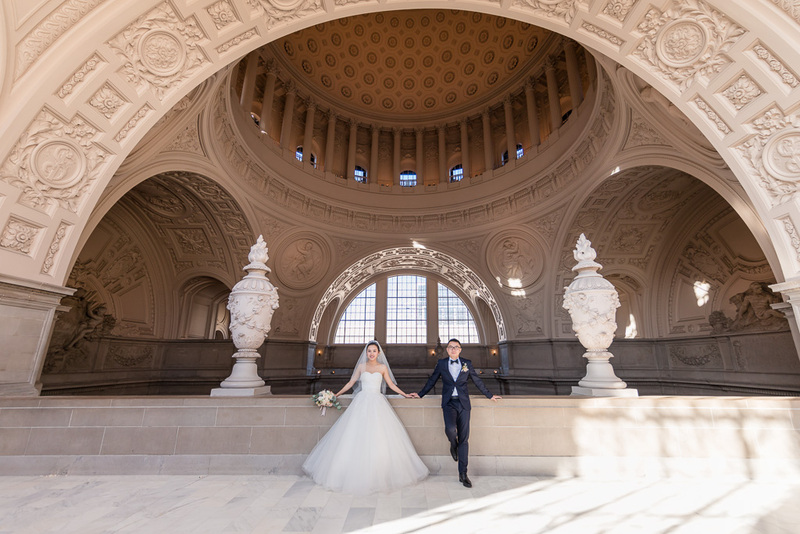 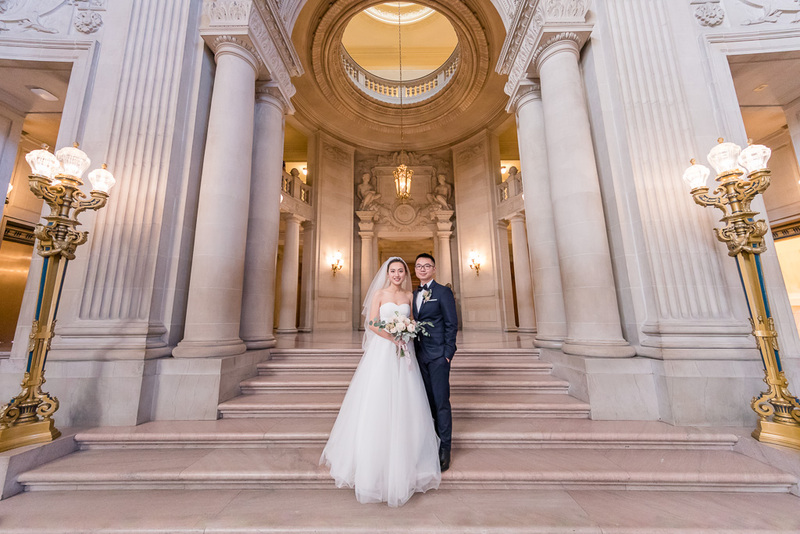 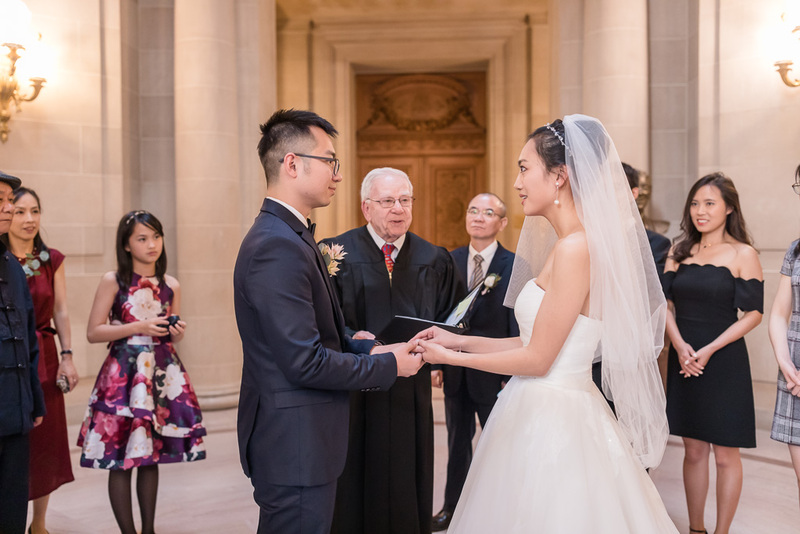 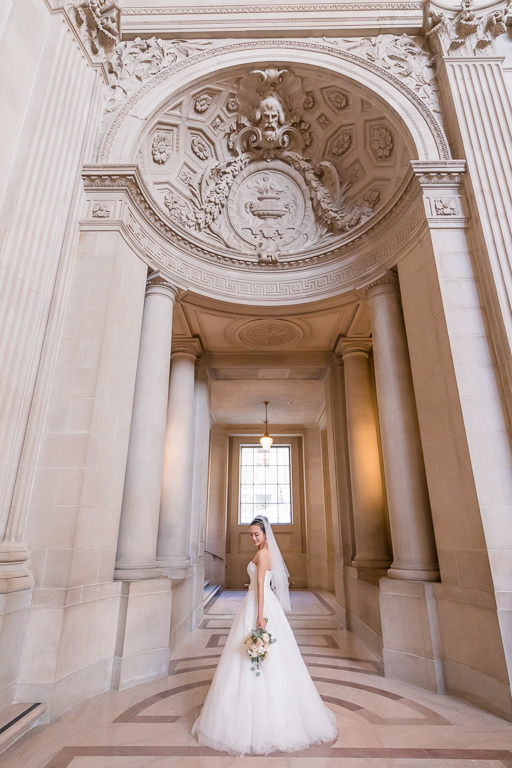 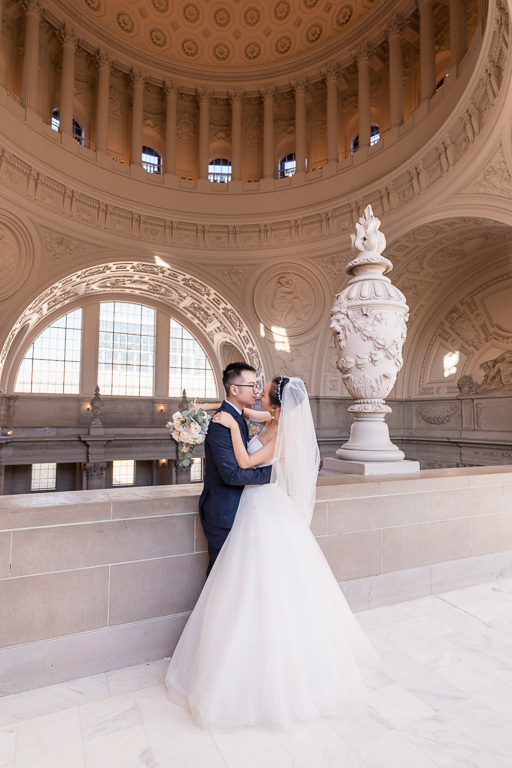 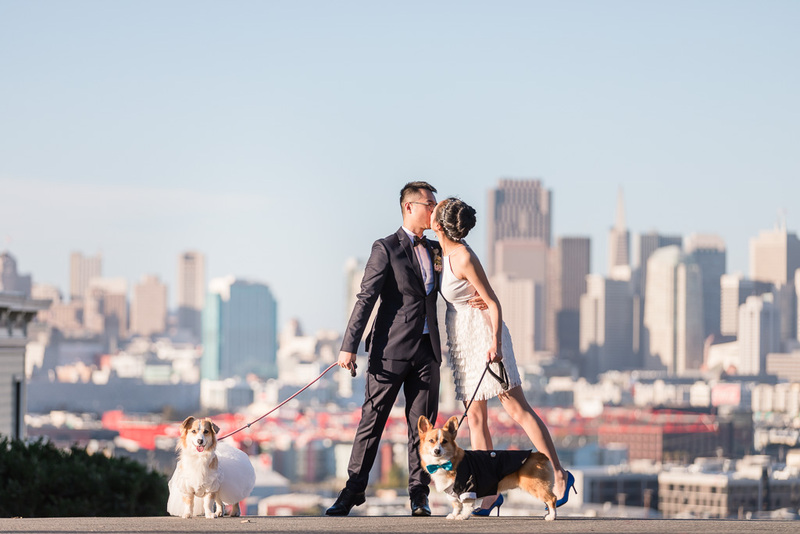 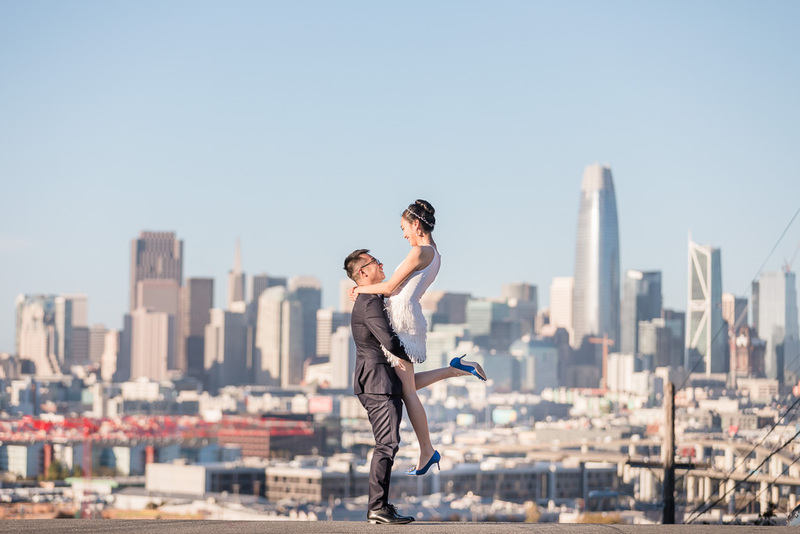 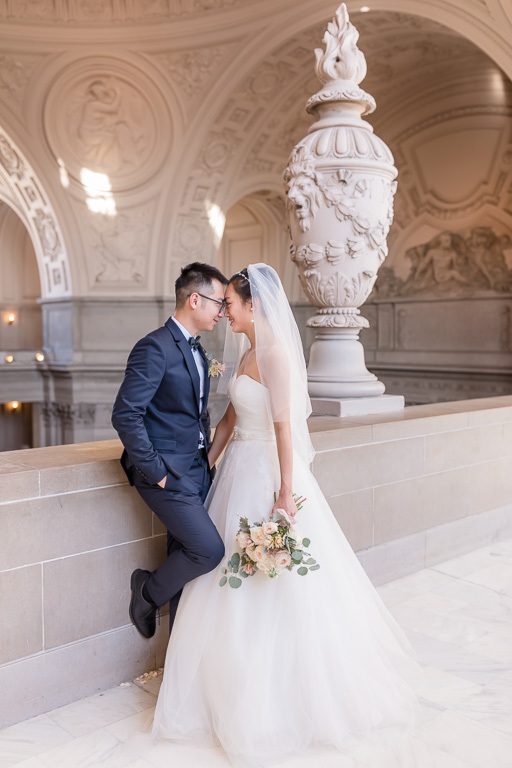 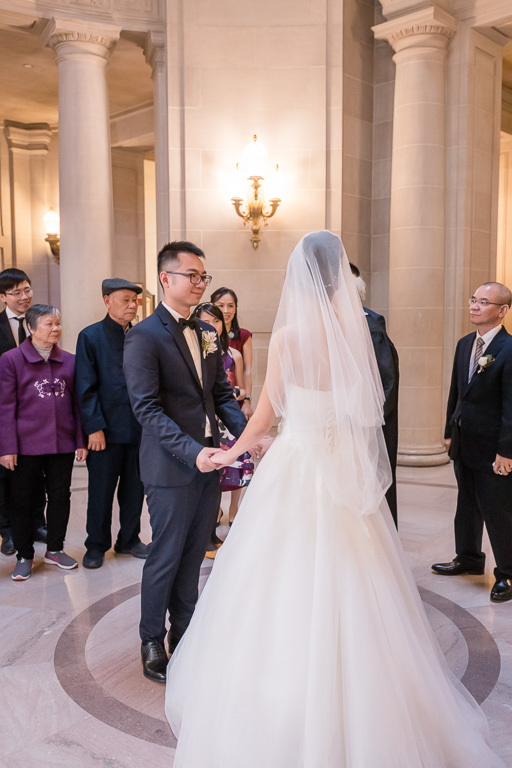 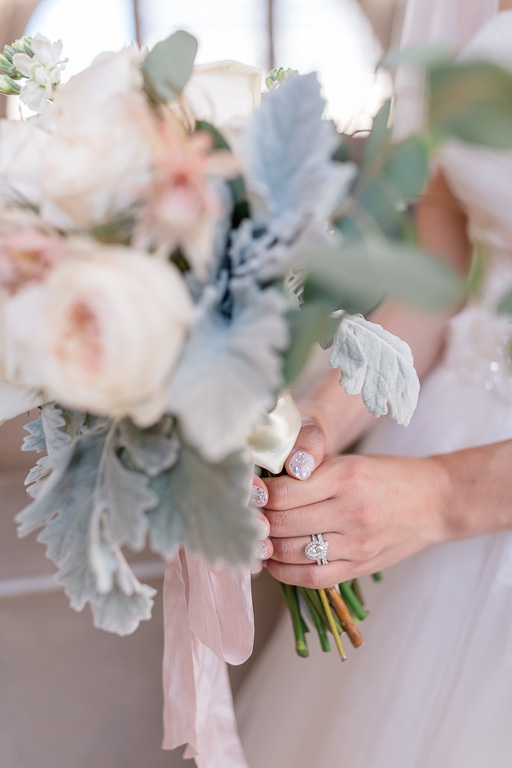 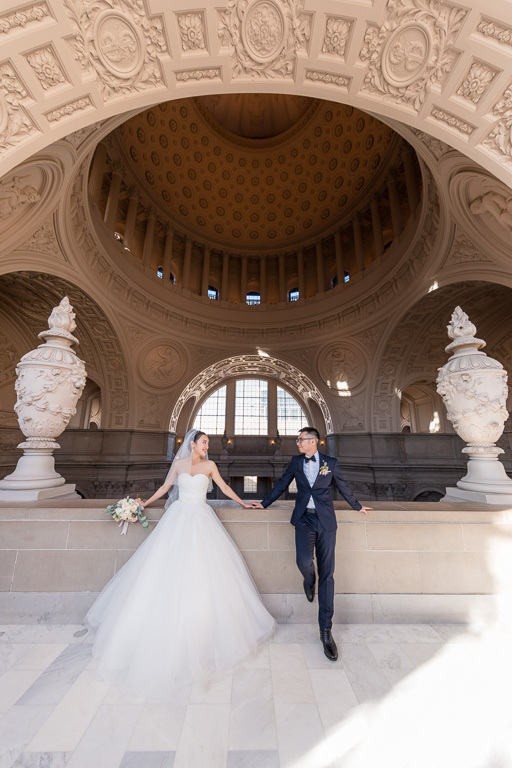 Gracie & Peter got married at San Francisco City Hall, the venue that never fails to impress. 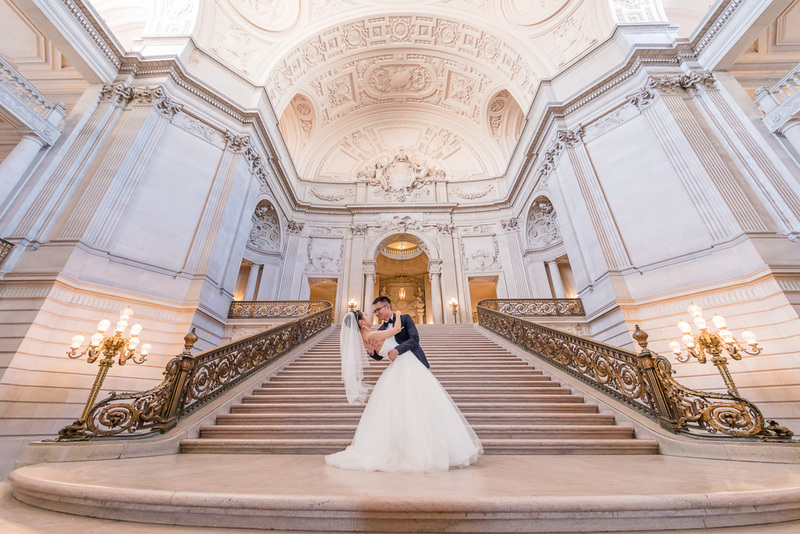 The two had their ceremony at the top of the grand staircase, with a close group of about a dozen of their friends & family in attendance. 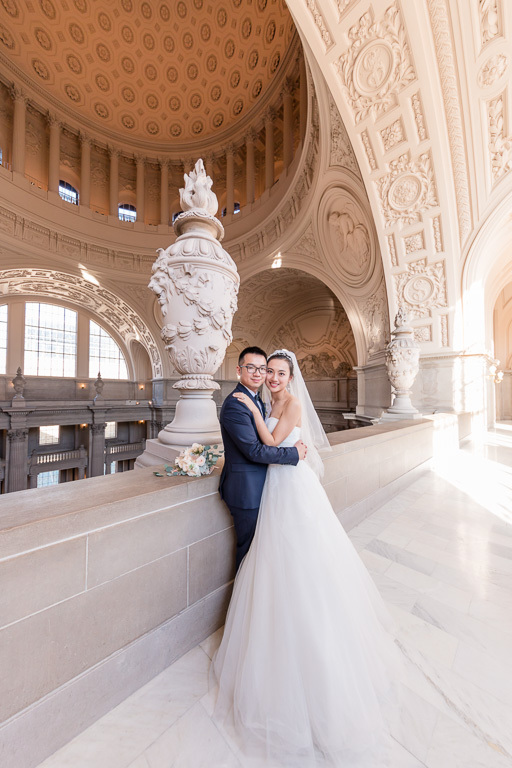 Afterwards, we took advantage of the beautiful architecture and did a few portraits around City Hall. 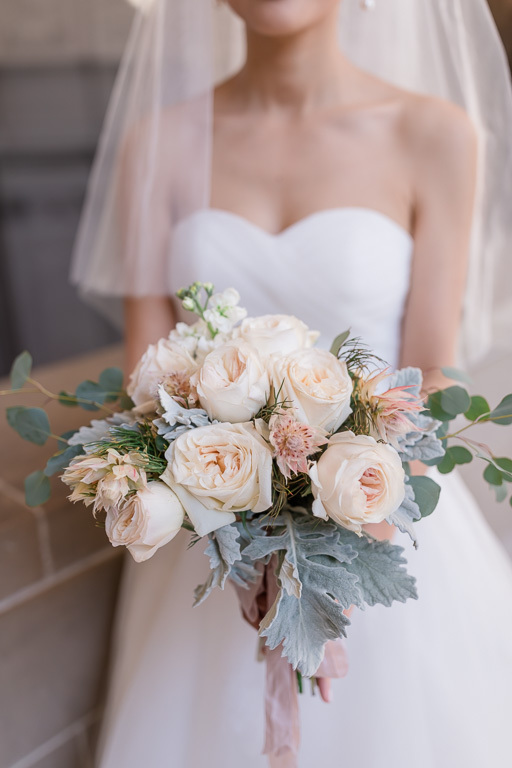 Their beautiful flowers (by their friend Emma of Bloomingirls) added a really nice touch! 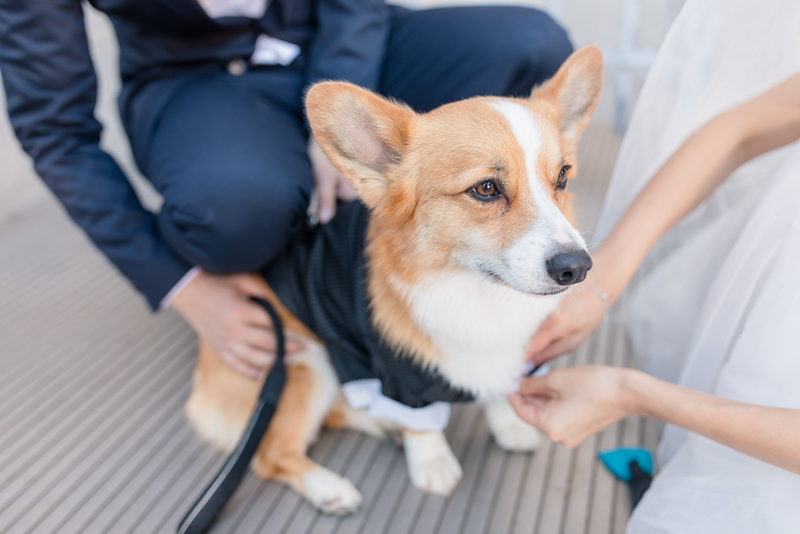 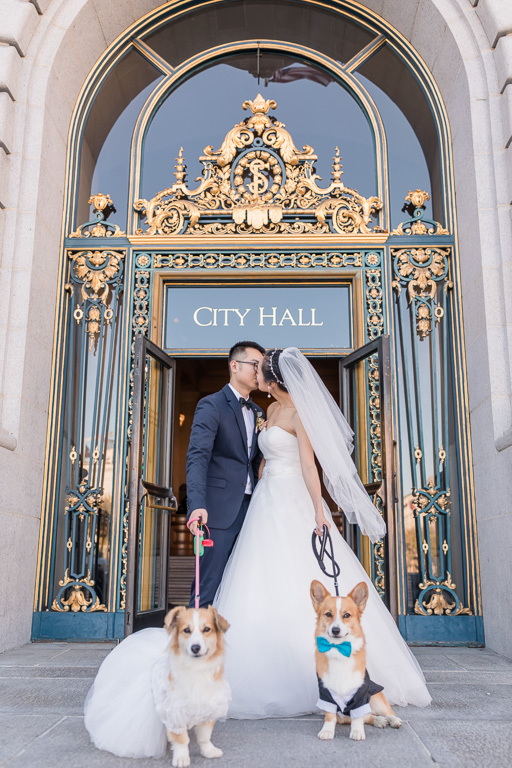 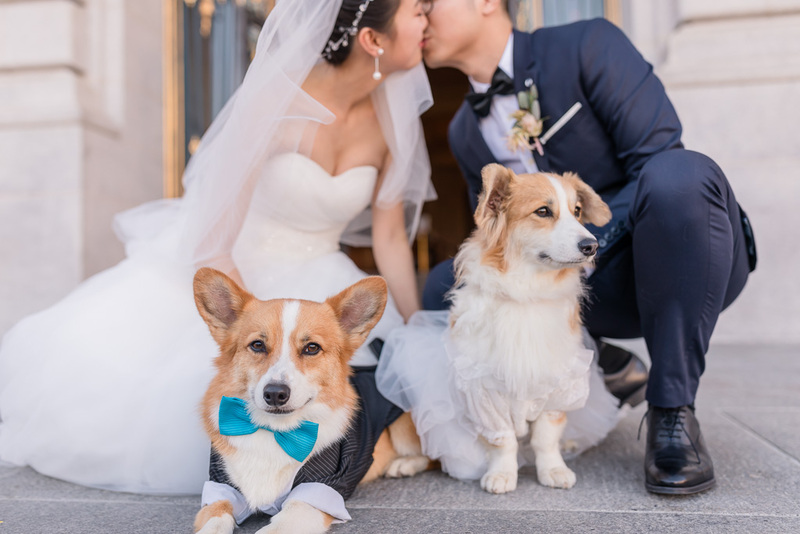 Once we were done inside City Hall, Wally & Ginger, the adorable little celebrity Corgis (check them out on Instagram!) 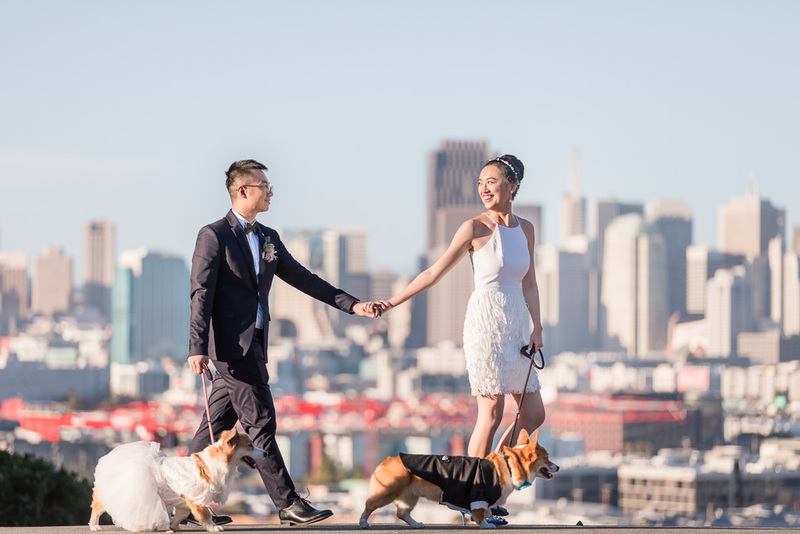 were waiting outside in their tux and dress, and joined their parents for some photos outside City Hall and at Potrero Hill. 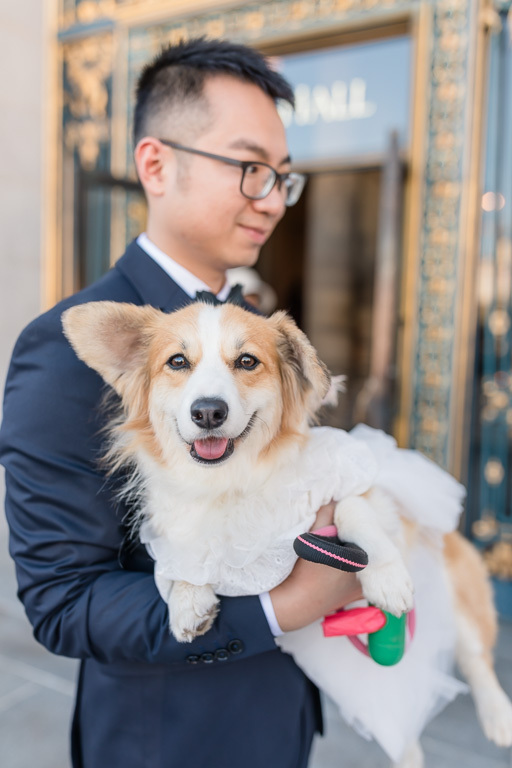 There was too much cuteness for me to handle… especially Ginger’s soft little floppy ears. 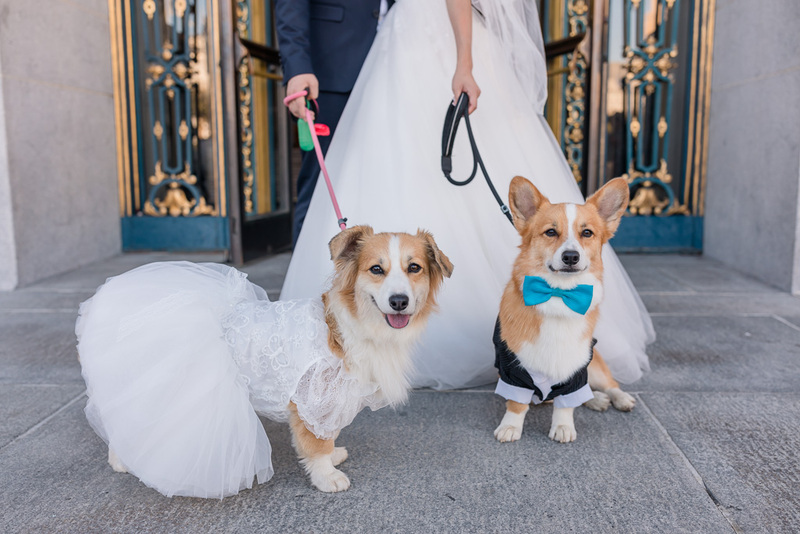 Corgis have always been my favorite, but this really takes it to another level. 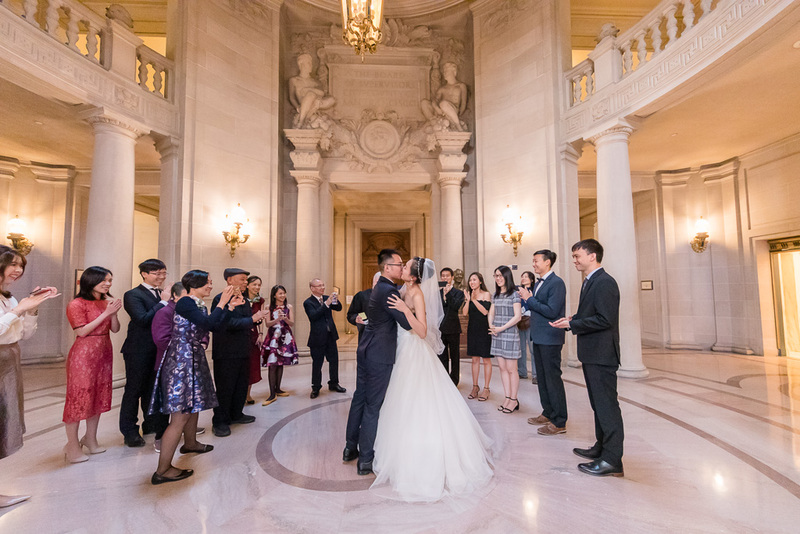 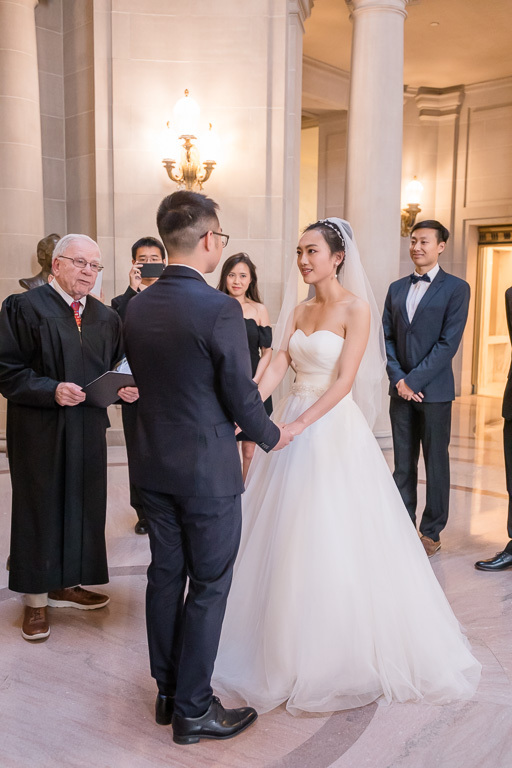 Take a look below at the photos of the cutest City Hall wedding ever!